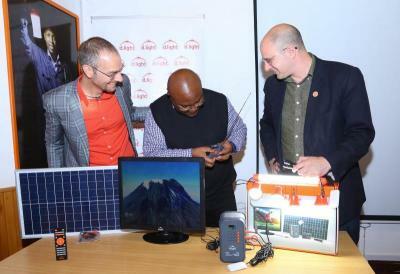 Nairobi​ in​​ Kenya​ was the setting where​ d.light, a global solar kit maker, launched its off-grid solar syste​m​ X850. The launch took place June 27 at the company’s headquarters in ​the African capital​ and is its first offering of a platform-based solar system for customers. With the new system, customers can buy the basic home solar kit and then upgrade it without​ having​ to buy an entirely new system. This is particularly useful for people who live in remote, off-grid regions and cannot afford a power connection. The company says the system not only allows customers to light their homes and charge their phones, but also watch digital TV channels. “Our customers will now dare to dream as the new product has the capacity to​​ power more than just the basic home appliances like bulbs and mobile phones,” said Sam Goldman, co-founder and chief product officer of d.light. Antonio Pasolini is a journalist based in Brazil who writes about alternative energy, green living and sustainability. He also works as a translator (Portuguese-English) and promotes veganism and animal rights in Brazil. Pasolini recently launched a book of short stories in Portuguese called Ponto de Fuga.